I was comfortable with him. He is honest and will do exactly what he believes is best for you. He isfunny yet kind. The wait was a bit much but I had taken the remainder of the day off so I wasn’t in a rush. They validated my parking and scheduled my next appointment before I left. I was comfortable with him. He is honest and will do exactly what he believes is best for you. He is funny yet kind. The wait was a bit much butI had taken the remainder of the day off so I wasn’t in a rush. They validated my parking and scheduled my next appointment before I left. I experienced sexual trauma and tried to tell him and the nurse if they could go really slow during my papsmear. I also said I wasn't comfortable with having one. He said it would be fine. I reinforced him to take it slow and it seemed like he just thought I was nervous. He told me to relax which didn't help. I tensed up and when he went to perform it, I closed my legs and pushed my hands down to block them from continuing. They told me no and the nurse tried to get me to move my hands back as I wanted to stop them from performing the pap smear. Anxiety turned into fear and I started crying. I couldn't stop crying. Just relax, they said. I should have told them I had sexual trauma but didn't feel comfortable at the time. I've also had pap smears before, so I thought I could handle it if they were more sympathetic and went slower. Also them trying to get me to move my hands back triggered some painful memories. They couldn't perform a successful one - obviously. At the end he asked if something happened to me and I said yes. He hugged me and let me go. I wish the whole experience was different. I experienced sexual trauma and tried to tell him and the nurse if they could go really slow during my pap smear. I also said I wasn't comfortable with having one.He said it would be fine. I reinforced him to take it slow and it seemed like he just thought I was nervous. He told me to relax which didn't help. I tensed up and when he went to perform it, I closed my legs and pushed my hands down to block them from continuing. They told me no and the nurse tried to get me to move my hands back as I wanted to stop them from performing the pap smear. Anxiety turned into fear and I started crying. I couldn't stop crying. Just relax, they said. I should have told them I had sexual trauma but didn't feel comfortable at the time. I've also had pap smears before, so I thought I could handle it if they were more sympathetic and went slower. Also them trying to get me to move my hands back triggered some painful memories. They couldn't perform a successful one - obviously. At the end he asked if something happened to me and I said yes. He hugged me and let me go. I wish the whole experience was different. 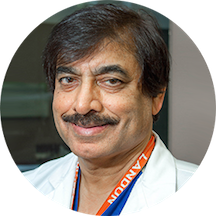 Rafiq Mian is an experienced and compassionate OB-GYN, who has been providing excellent care to his patients in Silver Spring, MD for over 30 years. Dr. Mian is certified by the American Board of Obstetrics and Gynecology, and he is affiliated with the Holy Cross Hospital and the Laurel Regional Hospital. He is multi-lingual, speaking English, Hindi, Urdu, and Punjabi. Dr. Mian’s clinical interests include microsurgery, tuboplasty, infertility treatments, video laparoscopy, laparoscopy-assisted vaginal hysterectomy, bladder suspension, appendectomy, and lymph node dissection. Originally from Pakistan, Dr. Mian attended the Nishtar Medical College to earn his medical degree. He completed his internship at the same institution, before he attended both Providence Hospital and Prince George’s Hospital Center to complete his general surgery and obstetrics and gynecology residencies, respectively. Dr. Mian welcomes patients experiencing pregnancy, vaginal discharge and infection, sexual dysfunction, osteoporosis, menopause, and urinary tract infections. He provides his patients with services such as ultrasounds, reproductive endocrinology, and annual gynecological exams and pap smears. The waiting time was very long. I thought if I got the earliest spot in the day there won’t be carry over of late patients. But obviously that was not the case. I came in for my 8am appt and alreadysaw three other ppl signing in the same slot. So no wonder he seems so busy but has so many available spots on zocdoc. He overbooked himself! Not recommended practice. I am switching OB-GYN physicians. Dr. Mian is rude and acts like the patient does not have insurance. I am a federal employee who pays a lot for medical insurance and every time I go to see him, he is rude,rushes through the visit and speaks to African Americans as if he dislikes them. I will never go to him again. His bedside manners are the worst I have ever seen. Medical information was taken within earshot of other patients and the secretaries, I was forced to have my blood drawn even though I signed a paper refusing to do so, the doctor did no use a speculum which was very uncomfortable,I had to return for my test results which would require another copay, and he only prescribed 6 months of birth control. When I asked the secretary about this over the phone, she said he requires his patients to come back in 6 months to do another checkup before he prescribes the next 6 months. This doctor just wants copays. Staff was very friendly. Dr. Was friendly as well but didn't spend much time with me. I would've wanted him to spend more time with me being a new patient and explain things a bit more thoroughly. Overall I was very pleased. Very prompt as well. I went in for a complete OBGYN check up. Dr. Mian greeted me as soon as he entered the room. He was very knowledgeable, and took his time to explain procedures/medical conditions. He asked me to raise my legs and immediatelyinserted his tools without warning, all while asking me medically related questions. Although he finished fairly quickly, he walked away from me, and left me with my legs wide open to write down notes. After 45 seconds - a minute, I asked him if he was done, and him mumbled, 'yes'. Very awkward and unusual!! Dr Mian and his staff were great, caring and concerned. I will definitely go back. Very nice and intelligent doctor. I did not feel uncomfortable at all. Will be returning! I've been seeing Dr. Mian for 9 years now and he's delivered both of my kids and will this pregnancy as well. I recommend him to everyone. He's very personable and his staff is friendly and accommodating with late arrivals. Althoughthe wait time can be long because he has a lot of patients, i believe it's worth it to have such a great doctor. Very satisfy with Dr. Mian who listens to any questions or concerns that a woman may have and provides very good answers and advice, very proffessional and I would highly recommend him.